Richard Hopkins focuses his practice in complex litigation and regulatory matters, with particular emphasis on health care payor/provider disputes, business practices, claims handling practices, reinsurance, trade secrets, insolvency, and inter-company disputes. Mr. Hopkins regularly represents business entities, including insurers, health plans, underwriters and holding companies in a variety of contexts, such as federal and state class actions, arbitrations, administrative hearings, regulatory investigations and market conduct examinations. 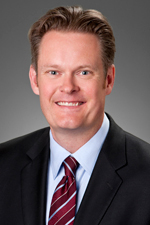 Mr. Hopkins joined Hinshaw & Culbertson LLP in October 2014 as a result of the merger of Hinshaw and the Los Angeles-based firm of Barger & Wolen LLP. Previously, Mr. Hopkins was a legal associate for Activision, a producer and distributor of video games, where his practice consisted primarily of transactional work, as well as intellectual property registration and enforcement. Mr. Hopkins' law school accomplishments included having been a member of the Moot Court Honors Program. Prior to his legal career, Mr. Hopkins was a senior analyst at DecisionQuest, Inc., a trial consulting firm, where he provided jury consulting services on a wide range of litigation matters. Class action litigation concerning insurer's premium charges, including vanishing premium, gap premium, reinstatement charge, cost of insurance charge, and experience rating claims. Class action, individual, and FINRA litigation alleging lack of suitability and deceptive sales practices, including failures to disclose, misrepresentations and other regulatory violations in the sale of life insurance, annuity, and long term care products. Arbitration and litigation involving health plans and medical providers in contractual and non-contractual settings. Insurance regulatory investigations and litigation with the California Department of Insurance and California Attorney General's Office concerning alleged claims handling, underwriting and licensing violations. Extensive litigation of issues involving e-discovery in state and federal court. Represented health plans in proposed class action involving prescription drug benefits. Represented California-based underwriter and provider of expatriate insurance benefits in litigation involving alleged theft of business by Chinese-based subsidiary. Represented automobile insurers in purported class action involving Portable Persistency and Good Driver discounts. Represented homeowners' insurers in purported class action alleging insurer provided "excessive" amounts of replacement cost insurance. Represented automobile insurers in purported class action involving alleged violations of the Fair Credit Reporting Act. Represented automobile dealership software company in disputes against competitor and national credit reporting agency. Represented holding company in action brought by association purporting to alter the terms of the contract between the association's member and holding company. Representing runoff manager of Lloyd's of London Syndicate in litigation and arbitration involving reinsurance of life settlement and viatical investments. Represented health plans on multiple occasions on issues surrounding health plans duty to pay medical providers "reasonable and customary" charges for emergency room treatment in a non-contractual environment. Represented insurers in multiple bankruptcy adversary proceedings involving claims brought by unsecured creditors. Represented life insurer in class actions alleging failure to pay death benefits in connection with the Armenian Genocide and Pontic Greek Genocide in the Turkish Ottoman Empire. Represented life insurer in private attorney general proceeding challenging its sales, rating and underwriting practices in its long term care insurance business. Represented life insurer in a class action brought by its senior agents/registered representatives challenging changes in production requirements and compensation. Represented several life insurers in private attorney general proceedings challenging their underwriting restrictions on, and rates charged to, individuals who travel to countries on the U.S. State Department's list of unsafe countries. Represented life insurer in class action alleging misleading marketing of and failure to pay benefits under spousal benefit riders. Represented several life insurers in separate class actions alleging unlawful "gap premium" charges. Continuing Legal Education presentation on federal and state e-discovery. "Insolvency of Insurers," Chapter 7 (Revised), "California Insurance Law and Practice," LexisNexis Matthew Bender, August 2012. "Health and Disability Insurance Contract," Chapter 26 (Revised), "California Insurance Law & Practice," LexisNexis Matthew Bender, December 2011. "Interrelationships Between the Insurance and Financial Services Industries," Chapter 3A (Revised), "California Insurance Law and Practice," LexisNexis Matthew Bender, May 2011.